Now a column number is prime precisely when the numbers in that column are each divisible by their row number. 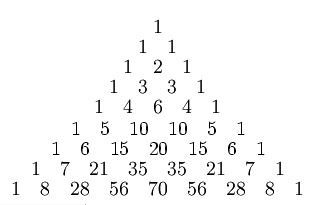 For instance, in the diagram above, column 13 has two entries — 10, which is divisible by 5, and 6, which is divisible by 6 — so 13 is prime. The numbers in column 12 are not all evenly divisible by their row numbers, so 12 is not prime.